It’s summer. 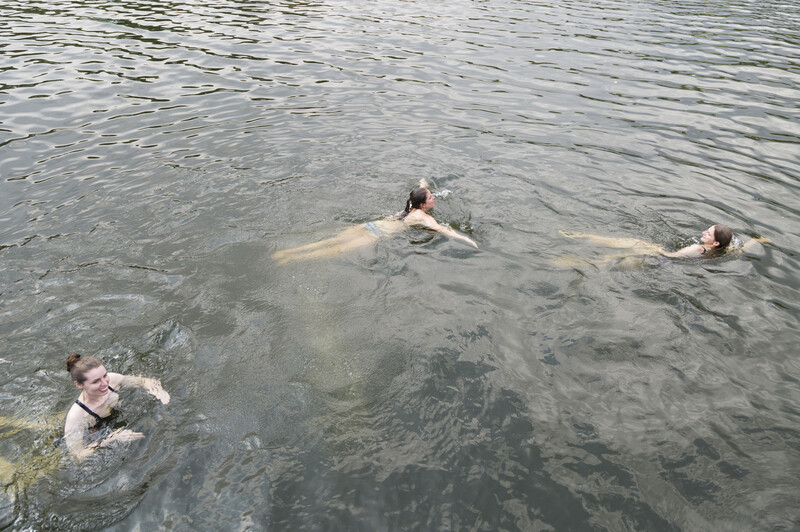 The season of sun-kissed skin, staying up late, jumping into lakes and open-air parties. Since we have a lot to celebrate this year – exciting collaborations and contributors, an amazing team and the creative dividends of our hard work – we decided to do it all at once and throw an FvF summer party. Luckily, the Berlin version of paradise is not far from the office. The FvF team headed off to beautiful Wannsee Lake, a historical archipelago southwest of Berlin, dotted with castles and secret hideaways. 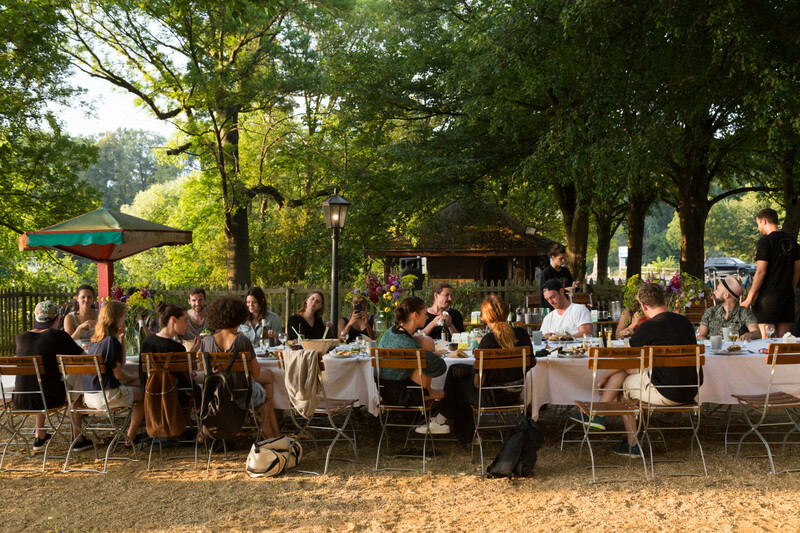 The inlets and meadows of Wannsee are the perfect setting for a summer day spent swimming, exploring and relaxing – and of course, heating up the barbecue. But first, we were in for a big surprise. “Is this our ride?“ a team member asks excitedly as we approach the jetty where the impressive sailboat Royal Louise and its crew awaits us. 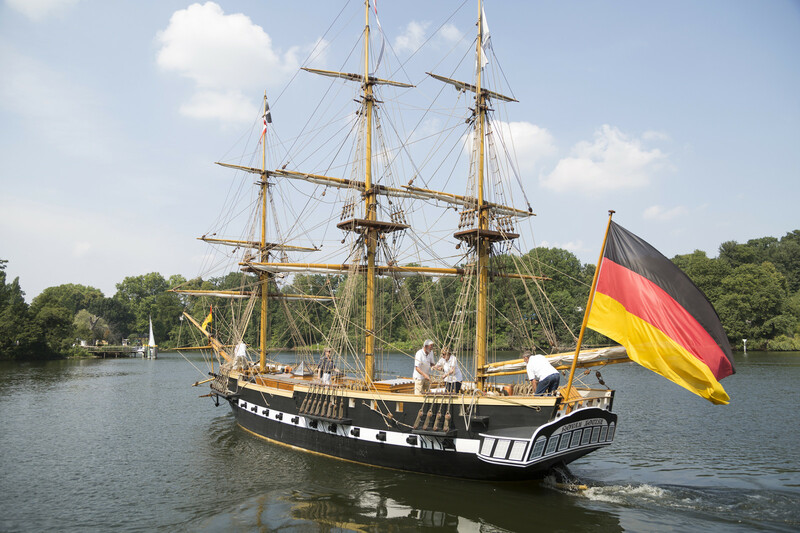 Our journey meanders around the corners of the lake, and we discover that this replica of the 19th-century ship is indeed quite the ride. As some climb up the mast and take in the view from the lookout above, others stay put on deck to soak up the sun and enjoy the light breeze. 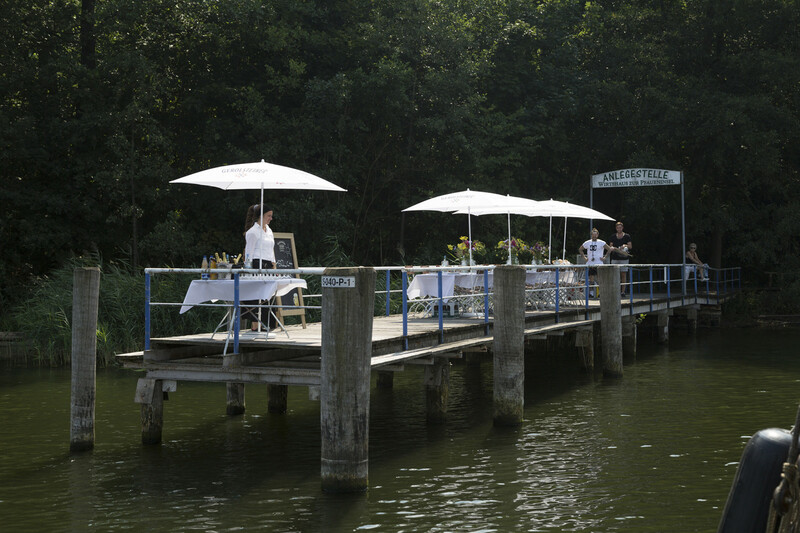 As we approach our destination, a dock on the idyllic grounds of the Wirtshaus Pfaueninsel, we are greeted by two friendly faces from Berlin‘s food scene. 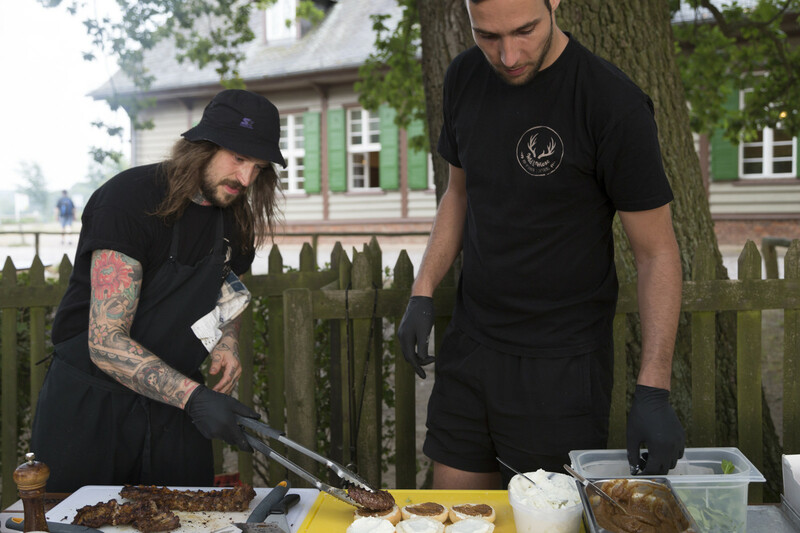 Christian Wilke and Markus Bongardt, the duo behind Berlin-based pop-up and catering Wild & Wiese, are known for serving up culinary wonders that hit close to home. Chef Markus and Christian, a hunter‘s son, love staying true to their roots by focusing on local game and fresh produce. 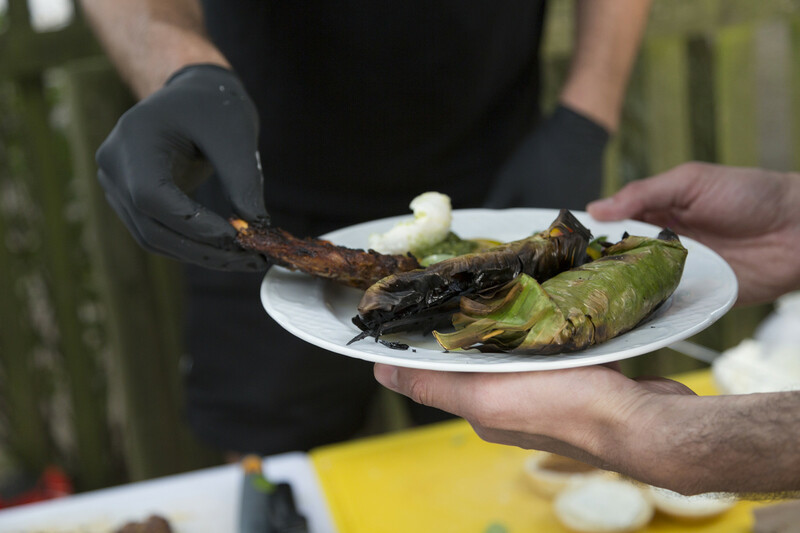 Specializing in catering and pop-up dinners, they know how to make use of extraordinary locations, serving lunch right on the jetty. We drop our bags and happily surrender. 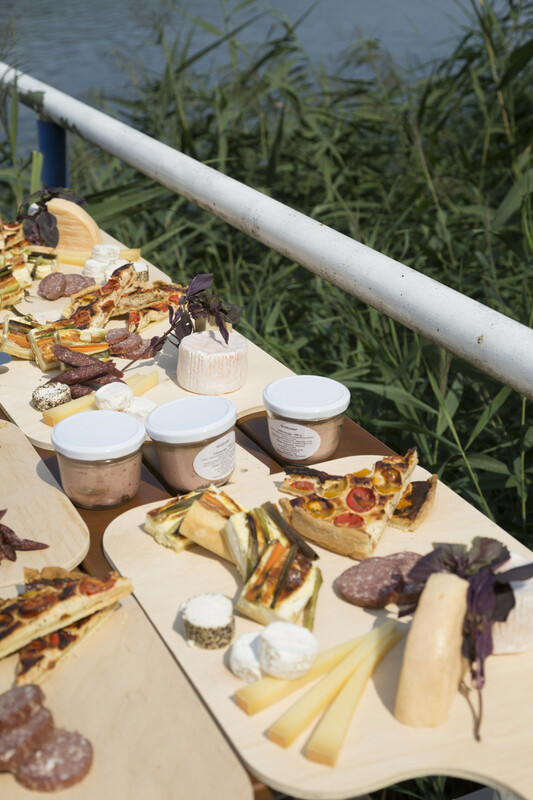 The wooden planks are loaded with delicious quiche, homemade venison salami and various cheeses dotted with fragrant herbs fresh from Markus’ and Christian‘s own gardens. For everything their vegetable plots couldn’t provide, the guys had help from Allyouneedfresh, who sent all of the ingredients that they needed to work their magic. After allowing us a few dips in the lake to burn off our indulgent lunch, the two start to prepare their signature Wild & Wiese burger, complete with chutney and goat‘s cheese. Just in time for the sun to start setting and the music to start playing, we sit down at the beautifully decorated dinner table, brought to life by Marsano flowers, and take in the view overlooking the shore. A perfect moment to cool off from the hot day. The table is set next to our own mini bar, offering refreshing MonoTee ice-teas for some and for others, revamped classics like delicious infused Our/Berlin Vodka or Grapefruit G&Ts, with gin distilled by Monkey47 and mixed with Thomas Henry tonic. And of course, for this German barbecue, we brought the Berlin beer to match. While the meat is sizzling and the sky is turning pink on the lake’s horizon, we cap off the day with cold drinks in hand – and huge smiles on our faces. The night finally begins. After the logs of our campfire finally burn out and we dance our feet off, we are escorted safely back to Berlin by our friendly chauffeurs at Blacklane. Want to recreate the summer party feeling in your backyard? 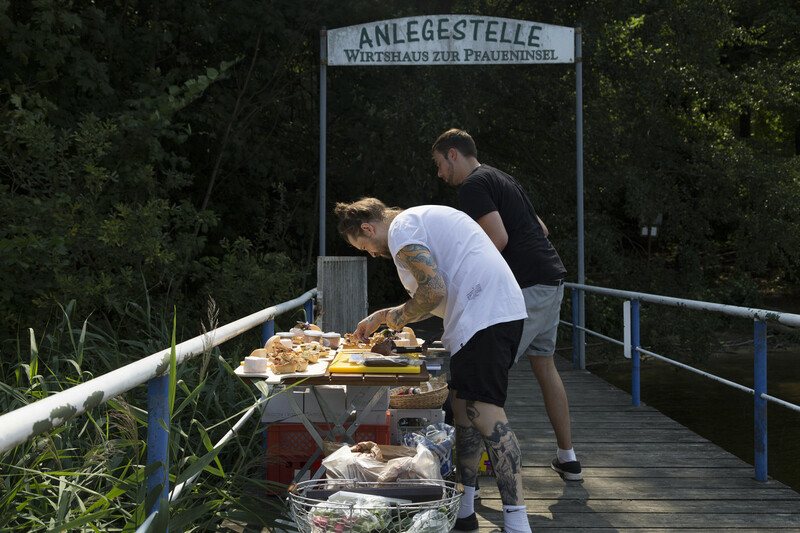 Below, Christian Wilke and Markus Bongardt share their recipe for the Wild & Wiese burger. However, to get a taste of their praised brioche buns, you may need to show up at one of their pop-up dinners – the next one is their Halloween special on October 31st in Berlin. Remove the stems from the dried figs and chop into small pieces. Bring the chopped figs and cranberry juice to a boil and cook until they are soft. Puree with a stand mixer or immersion blender until the mixture thickens and develops into a confit. Mix the two types of goat cheese together. If need be, add a small amount of milk and stir gently to ensure that the consistency is smooth and creamy. Form patties from the ground meat, each approximately 6.5 oz. in size. 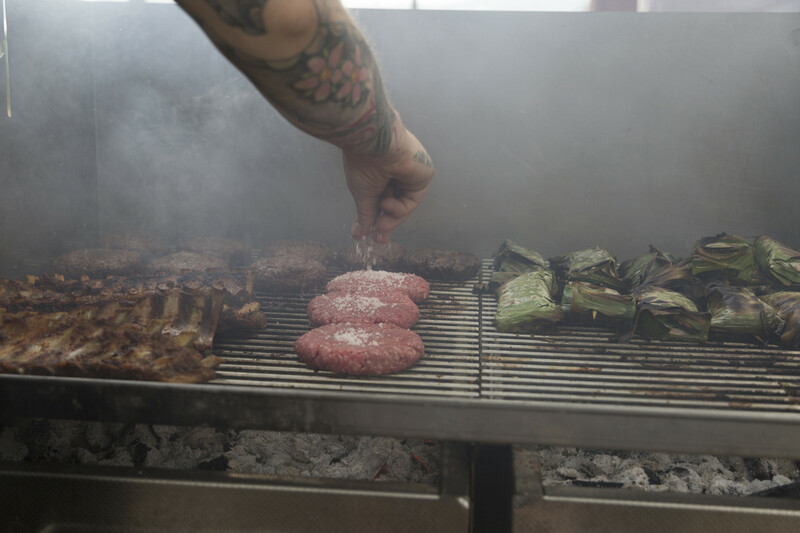 In a grill over hot coals or in a commercial pan, cook the burger patties according to taste. Slice the burger buns and toast the cut sides briefly over the grill or in a dry pan. Spread a tablespoon of fig confit over the bottom half of each bun. 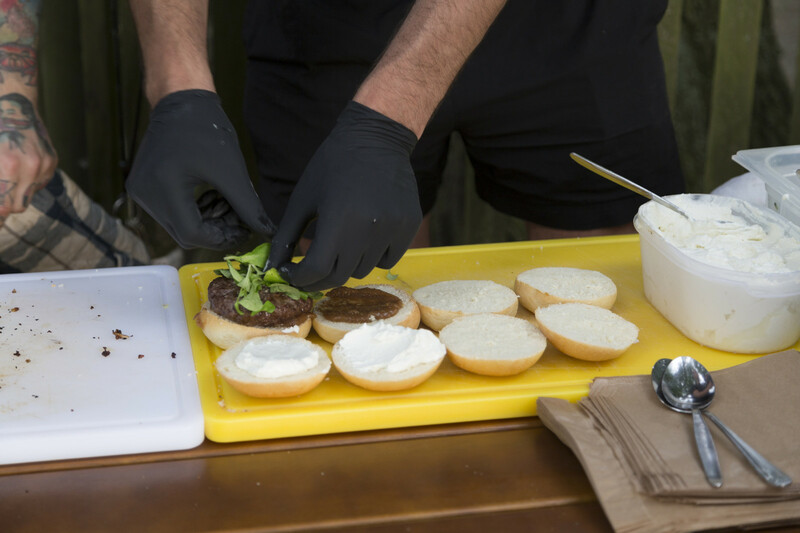 Set the burger patties on top and spread a tablespoon of the goat cheese mixture on the top half of each bun. Portion out the salad greens and add a handful to each burger, then gently press the two halves together. It really does take an army to pull off a summer celebration like this – huge thanks to all our friends and helpers involved in making it such a special day for the whole team.